Microsoft is expected to unleash the Creators Update next month (the rumored date is April 11) so in theory it could be available in just over a couple of weeks, but if you’re getting excited about playing with all those new Windows 10 features, don’t hold your breath – as the rollout could take months. It will likely proceed at a similar pace to the previous Anniversary Update, so in other words, it will be a gradual and phased rollout that’ll happen in waves. And of course far from everyone will be in that first (or even second, or third) wave. As PC World spotted, AdDuplex (a cross-promotion ad network which crunches data on the platforms its adverts are viewed on) has just released the full stats on exactly how slowly the Anniversary Update (AU) crept out. Last year, Microsoft itself said the AU rollout would be staged over roughly three months, but AdDuplex’s figures show it actually took nearer four months before the upgrade was deployed to 80% of Windows 10 users. Indeed, the initial rollout of the AU was particularly slow, with only 35% of Windows 10 machines getting it in the first two months. And after a full six months, the AU hadn’t reached 90% of all machines. There are several reasons why major updates have to be deployed gradually, one of the main factors being that Microsoft doesn’t want to overwhelm its download servers with a massive rush of folks grabbing the upgrade. The software giant also needs to carefully monitor any bugs which pop up, and suss out if these are affecting particular hardware configurations, taking appropriate action to fix things for users down the line. 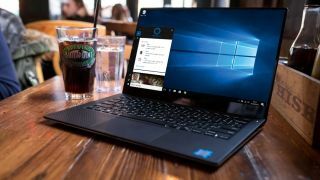 With the AU, Microsoft was particularly careful with older hardware because compatibility issues and other gremlins are more likely to occur with such veteran PCs. So, there’s no real reason why the Creators Update will be any different in terms of the requirement to exercise caution regarding the pace of the rollout. That said, Microsoft may have learned valuable lessons from the Anniversary Update, and the system could be more streamlined now. But given exactly how long the AU took to fully deploy, as already stated, we wouldn’t be refraining from exhalation (you know...holding our breath) about the prospect of getting the Creators Update right after it’s made available. Still, if you absolutely cannot wait to see what the Creators Update has to offer, you don’t even have to wait for it to be released. We’ve got the full lowdown on how you can actually download and install it right now.